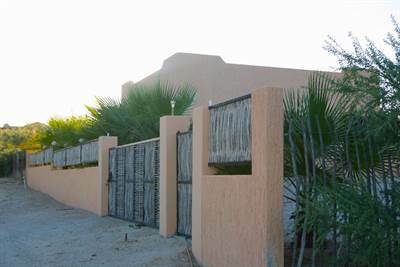 • single story – FOR SALE USD155,000 . Only one lot from the Ocean! This garage with bedroom and trailer with bedroom is located a five minute walk to El Cardonal. It is close to town but far enough to be quiet. There is plenty of room on the lot to build your home when you are ready.